Very recently I experienced how hard a program can make us struggle just to uninstall it, AVG free version which was installed in an unavoidable situation later made all things worse, it was not supportive either upgrading nor scanning, no way. The only way is to remove it and install the latest version, but only when I tend to uninstall or remove it from the system the actual problem aroused, I couldn't remove it but have to get it off the machine soon before I struck up with more problems. This utility works on any version of Windows - from Windows 98 to Windows 7. 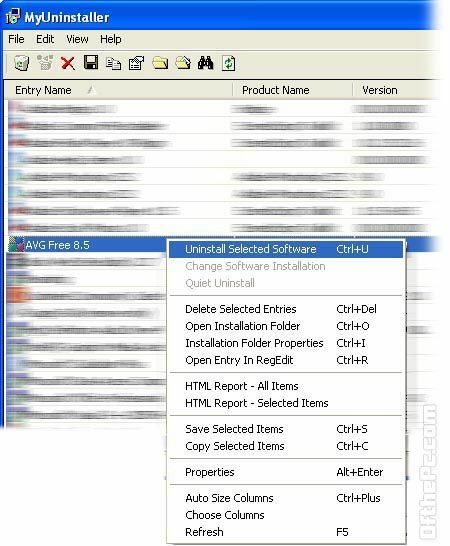 You should log-in to the system as admin user, so the uninstall process will work properly.